The Prius mixes fantastic fuel efficiency with impressive cargo space and a series of upscale features — it’s more than just an efficient car for Fishers and Carmel drivers. Many drivers come to the Prius for its fuel economy, but there’s so much more to this impressive hybrid. 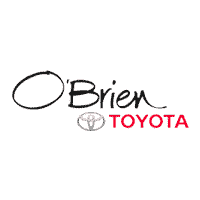 Let O'Brien Toyota show you what we mean with a test drive. With the many available Prius models, we’re confident it’s just a matter of which is right for you.